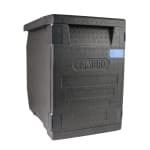 The Cambro GoBox™ EPP400 front loader is made out of expanded polypropylene, a lightweight, durable material. 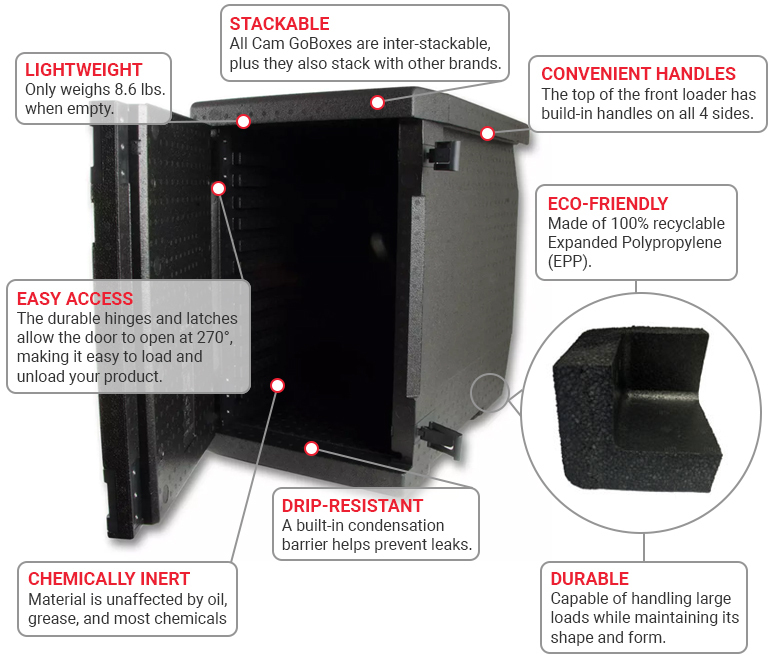 In addition to its insulating properties, this material is impact resistant and chemically inert, meaning it is not affected by oil, grease, and most other chemicals. The GoBox is dishwasher safe for easy cleaning and 100 percent recyclable when the unit reaches the end of its usable life. 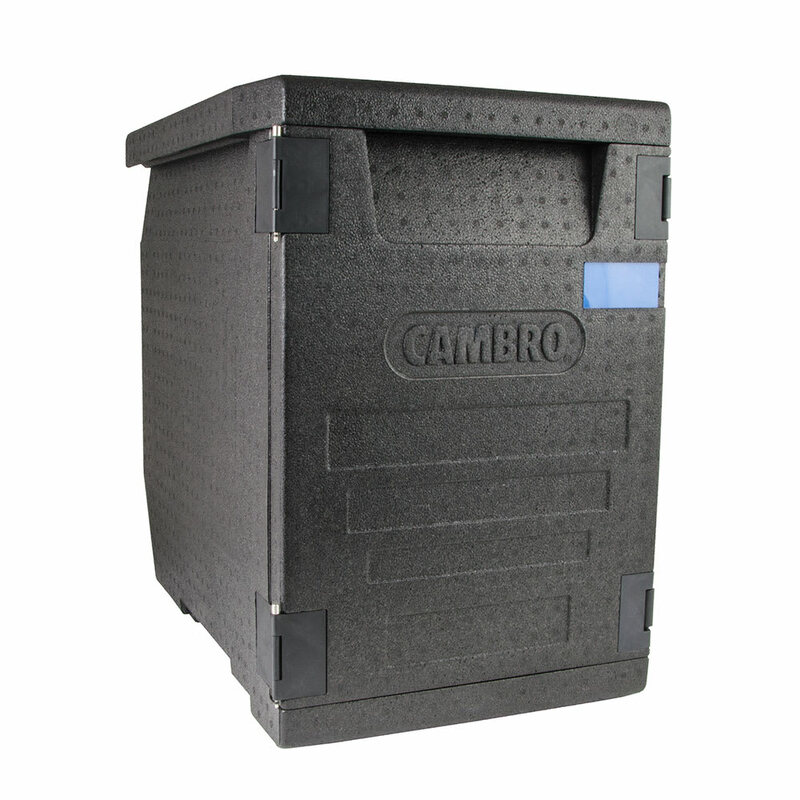 The Cambro GoBox front loader features a door that can open up to 270 degrees and be latched box's side. Handles are built into all four sides so users can carry the box however is comfortable for them. The box is well-insulated, with hot food staying within 10 degrees of its starting temperature for 4 hours and cold food staying within 20 degrees. A label area is built into the door of the unit, ensuring users can easily identify each box's contents. "I recently purchased two of the large, new style, Cambro food carriers. I have been pleasantly surprised at how convenient these units are. After..."
"I recently purchased two of the large, new style, Cambro food carriers. I have been pleasantly surprised at how convenient these units are. After almost 20 years of using the heavier Cambro units I am thrilled to have the same functionality in keeping my food hot in a lightweight box that is so much easier to handle."